A few people have asked us why we haven’t updated our blog, which means hey, there are some of you out there who have been reading it! We have had some lovely feedback since we’ve been back. To all of you who have followed our journey over the last year, we want to say a big thank you. We have spent the last few weeks living between the boat and my family in Sussex. 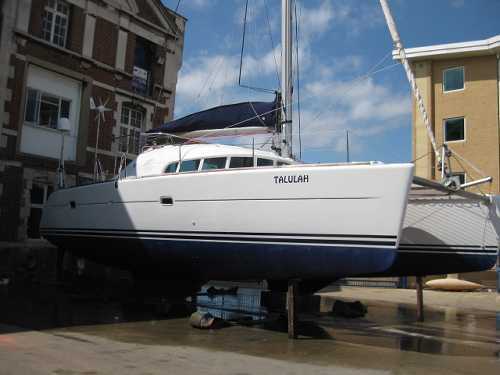 A couple of those weeks were spent onboard Talulah on the hard in Gosport: sanding, scrubbing, anti-fouling, replacing the anodes, polishing etc… it was hard work and we put in long hours until she shone and gleamed proudly with her newly painted bottom. It is amazing how much stuff we had onboard! Edmund, my bro, kindly came down to Gosport, towing a big trailer, which we crammed full and then unloaded on the farm in Sussex. On Monday 9th August she was finally re-launched and it was so good to have her back in the water again. 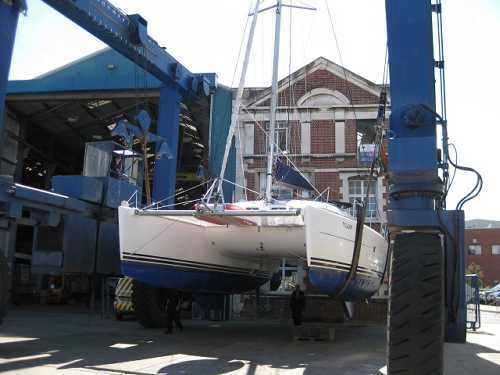 We motored around the corner to the Royal Clarence Marina, where she is now berthed and up for sale. We are still spending time down there too, inbetween viewings (quite a bit of interest so far), and she will be taking part in the Premier Swanwick Used Boat Show 10-19th September. We are homeless (but lucky to have a very comfortable place to stay on the family farm), enjoying those lovely things that landlubber life has to offer - farm smells, animals, hot baths and wet grass, whilst also truly missing life on the water, and trying hard not to look at other boats until the lovely Talulah is sold. 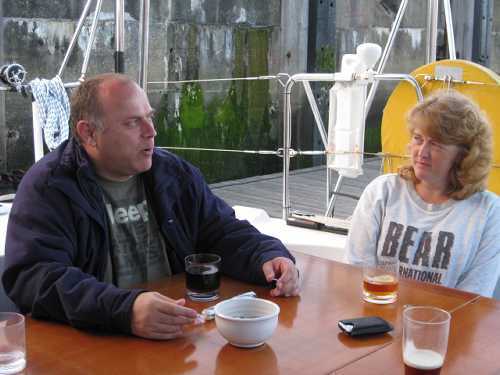 Mark and Corrie (Shane’s brother and sister - in -law) relaxing on board in Weymouth. The first time Ali has met them and the first time Shane has seen them in nearly five years. 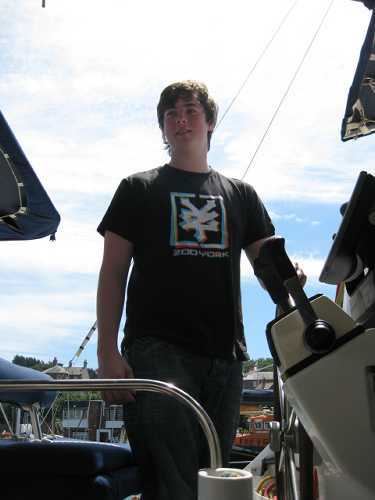 Matthew (Shane’s nephew) grabbing the helm. 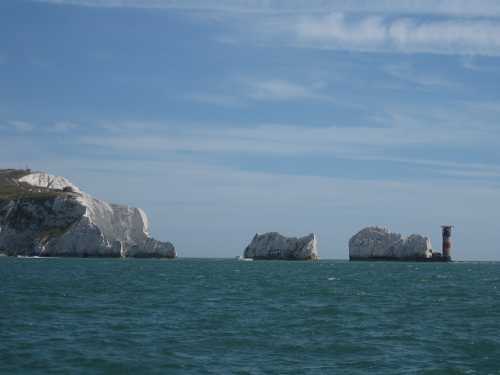 Time for a bit of contemplation as we pass the needles heading into the solent. 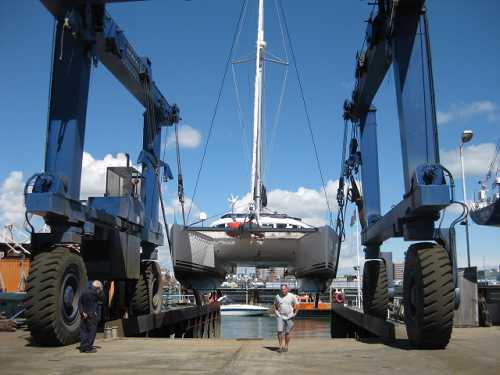 Talulah getting lifted out in Gosport – a strangely emotional experience. Talulah lifted out and ready to be chocked off about to get some well deserved TLC. Sleep well my lovely x.